Ursula Hedwig Stratmann was born in Muenster, Germany, and grew up on a family farm with 3 brothers and 4 sisters. After graduating high school, she attended a vocational school in Muenster to become an office manager. In 1954, to broaden her horizon and further her English language skills, she came to America to live with a German-American family in Gross Point, Michigan. She taught the children German poems and songs while learning English herself. She returned to Germany in 1956 and married Hans Peter Panzer. In 1957, the couple moved to Lafayette, Indiana, where Hans completed his post-doctoral fellowship at Purdue University while Ursula worked at the University library. They left academia in 1958 and moved with a young family to Connecticut, where Hans started an industrial career in research chemistry. As a working mom, Ursula raised two children, Peter and Maria, and worked as medical office manager. Her personal passion was her garden, where she cultivated vegetable and flowers. She shared her extensive horticultural knowledge with family and friends, and also volunteered at the Bartlett Arboretum for many years. Ursula was a highly competitive club tennis player, and later participated in the Senior Olympics, collecting a large shelf of trophies. 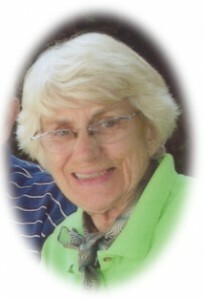 She was active in the German American community, and participated in the Liedertafel in Stamford and Freunde Deutscher Sprache in Greenwich, Connecticut. 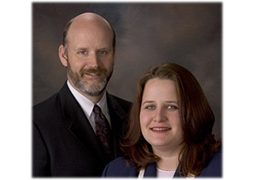 Over the years, Ursula and Hans have been back and forth to Wisconsin, visiting their children and grandchildren. In 2013, Ursula and Hans moved to Wisconsin to be closer to their family. Ursula loved the Port Washington area, which reminded her of her birthplace in Germany. Ursula is survived by her husband Hans, her son Peter (Ilke) Panzer of Fredonia and daughter Maria (Hank) Rossi of Port Washington, and grandchildren Peter and Kristina Rossi. A memorial service will take place in Germany amongst close relatives. In lieu of flowers, the family requests donations to the Susan G. Komen Foundation in memory of Ursula. 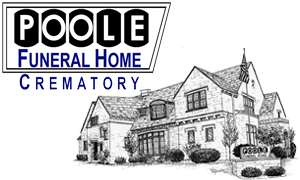 Poole Funeral Home, Port Washington serving the family. Previous Post: Kolocek, Dr. Raymond T.
Next Post: Walsh, Arlin L.
I was saddened to hear about Ursula. She was a good friend and a competitive opponent on the tennis courts. She will be missed by all. I hope that your health is good these days.